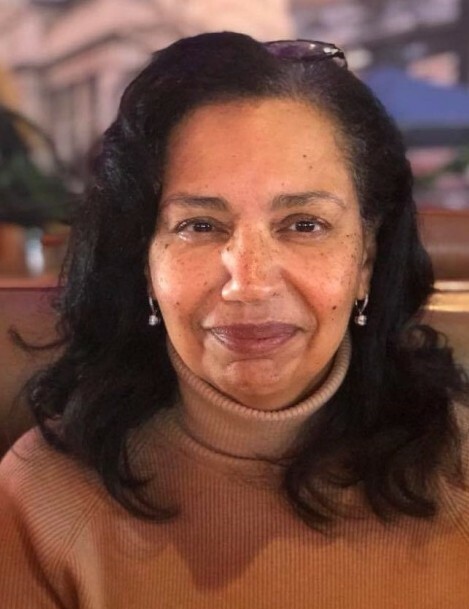 Georgia Sharon Thomas-Sanders a gentle spirit known for her abiding grace and fierce love, transitioned to the loving arms of the Lord on her birthday, Saturday, April 6, 2019. Born to loving parents, Frank and Frankie Thomas April 6, 1956 she was the sixth of a strong bond of eight siblings. Georgia was baptized at First Wayne Street United Methodist Church where she remains a member. Georgia was a strong woman of faith in thought and action. She was a source of strength to her family, extended family, and wonderful group of friends. The pain of her parting is a reflection of the strength of her love and how deeply she was loved in return, how well she was regarded, and the positive impact she had on so many people. Georgia attended Fort Wayne Public Schools and graduated from Northside High School in 1974. Georgia chose to go to Purdue and study Pharmacy. Her love of the Black and Gold is well known. She graduated from Purdue University with a degree in Pharmacy and successfully achieved the status as a Board Certified Registered Pharmacist. Georgia returned to her beloved Fort Wayne to practice pharmacy and was employed 38 years at Parkview Hospital where she was a dedicated and successful employee. Georgia was a woman with a tremendous heart who shared her love and gentle spirit impacting so many people. One of her primary goals was to love and uplift family and she relentlessly demonstrated her unwavering love, honesty and support - she was a rock that could be relied upon. Georgia is survived by her husband of over 40 years, Richard E. Sanders and her children, Chase and Rachael; her siblings, Carolyn (Eddie) Fletcher of Houston, Daryl Thomas of Durham, Faith Posley of Indianapolis, Dwight (Delania) Thomas of Fort Wayne and Frank Thomas Jr. (Tammy) of Indianapolis, also her in- laws, Kevin Sanders of Charleston, Curtis Sanders of Charleston, Terry Sanders of Fort Wayne and Mary Sanders of Fort Wayne. She was preceded in death by her parents, Frank Sr. and Frankie Thomas, a brother, Derek Thomas and a sister, Deborah Matthews. She also leaves behind many special nieces, nephews, and cousins. Georgia worked mightily to ensure the strength and importance of family connection and continuity across generations and all across the country. She has made an indelible impact on family, friends, and her community. Her loving daily physical presence will be missed by all who know her.